For cupcakes, in a large bowl, beat the sugar, water, oil, vinegar and vanilla until well blended. In a large bowl, combine the flour, cocoa, baking soda and salt; gradually beat into sugar mixture and mix well. Fill paper-lined muffin cups half full with batter. 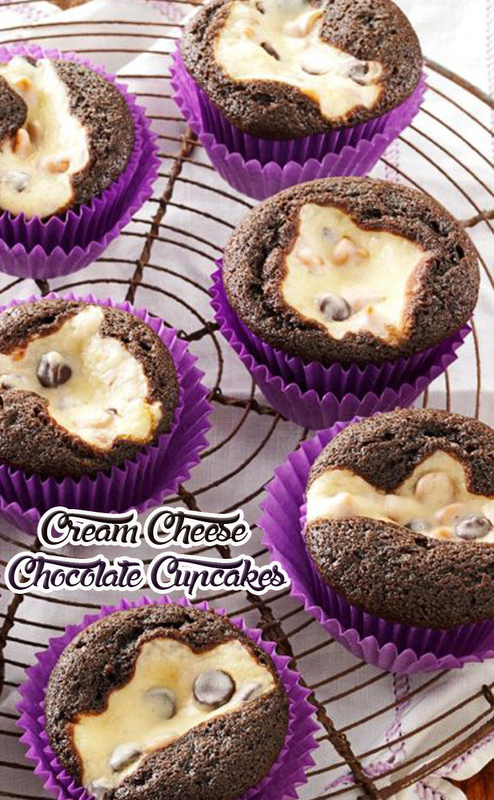 Top each with about 2 tablespoons of the cream cheese mixture. Bake at 350° for 25-30 minutes or until a toothpick inserted into cupcake comes out clean. Cool for 10 minutes before removing from pans to wire racks to cool completely.